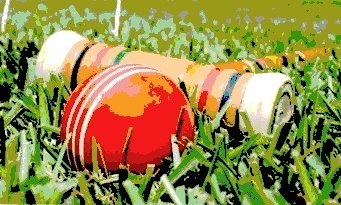 9-Wicket Croquet: The 8th Annual Menucha International Croquet Tournament and Lawn Party is on for July 18! 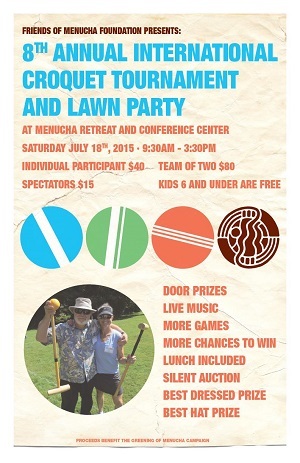 The 8th annual Menucha International Croquet Tournament and Lawn Party is on for July 18! Menucha is a nonprofit retreat and conference center in the Columbia River Gorge National Scenic Area about 30 minutes from downtown Portland, Oregon. “ Last year was exciting because newcomer Forrest Frantz upset our previous 4-time winner Samuel Reid. We also started a 2-person team competition which we’ll continue this year. 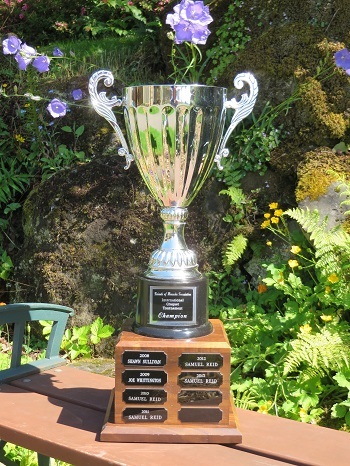 Now there are TWO coveted Corbett Cups” up for grabs (singles and doubles)”, says Lauren Deming, Director of Marketing for the Menucha Retreat & Conference. Be sure to visit the TIPS section of this site to sharpen your backyard croquet skills before the tournament.